We are approaching the conclusion of the Brickset Holiday Gift Guide series for 2018 and our focus now shifts towards larger sets, costing between $100 and $200 in the US. 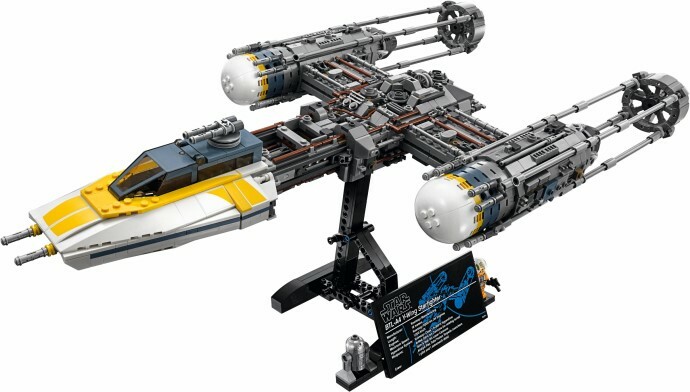 75181 Y-wing Starfighter is probably my favourite LEGO Star Wars set of 2018 and is undoubtedly the most impressive rendition of the Rebel Alliance's resilient fighter-bomber which has been produced. This starfighter includes incredible mechanical detailing and looks splendid when compared with the source material, as one would anticipate for an Ultimate Collector Series set. 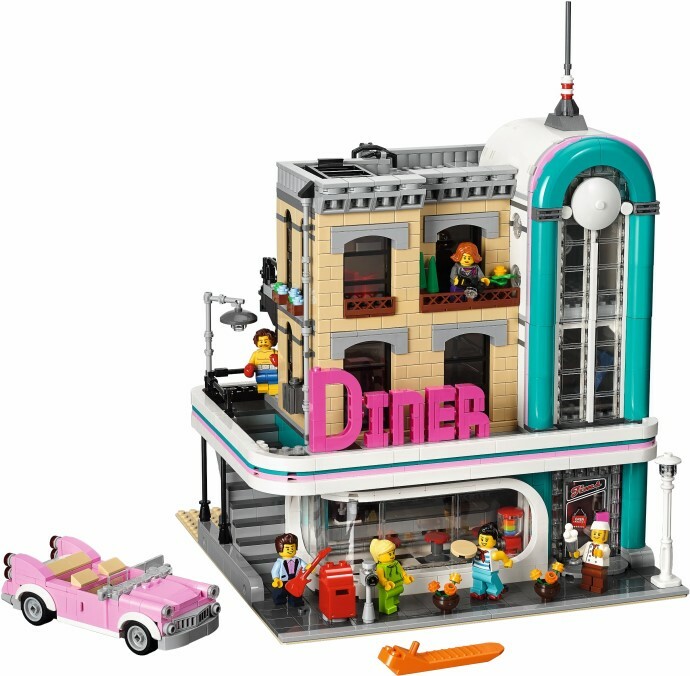 I would also recommend 10260 Downtown Diner, which maintains the exceptionally high standard that we have come to expect of the Modular Buildings, along with 42078 Mack Anthem. The 2595-piece Technic set looks spectacular on display and its unique functions have been implemented effectively. I simply must champion 10260 Downtown Diner in this category. It’s a nice diversion from what has gone before in the modular line with whacky colours, sweeping curves and 50’s architecture. It’s jam packed full of tiny details and comes with six colourful characters to help make the most of play on all the levels. The build itself is interesting and varied yielding a fabulous looking end result. With nearly 2500 pieces it offers very good value for money and a fair few hours of building time. It’s obvious that a lot of love has gone into the design of this and it shows. Simply brilliant. I'm admittedly biased toward Modular Buildings, so it would take a lot for me to recommend a set other than that year's modular. While there are some great sets in this price range, nothing beats 10260 Downtown Diner in my opinion. I love how the modular buildings continue to have a wide variety of businesses represented in the build, including the boxing ring for 2018. The diner also does not disappoint with the level of detail included (I particularly love the server’s roller skates) and the novel building techniques. I also may be in the minority but I like the change away from traditional smiley faces, allowing more opportunities for play and display. From the unique gold bulldog hood ornament to the innovative micro straight-six diesel engine, 42078 Mack Anthem is my choice for this year's Holiday Gift Guide in the $100 - $200 range. With 2595 parts, this is the seventh largest Technic set and represents very good value for money. 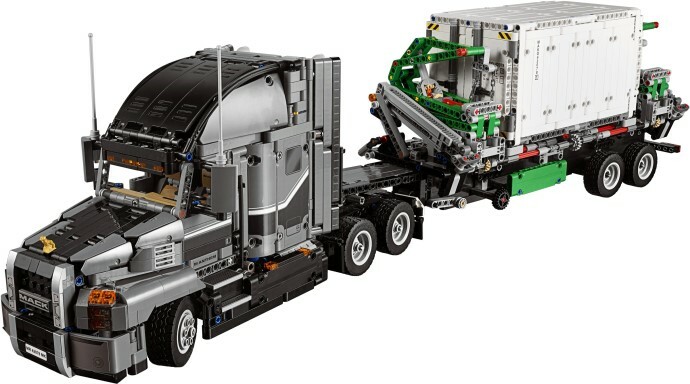 I have noticed this year that the Technic designers are including quite a few system parts to add detailing in their Technic models and the Mack Anthem incorporates quite a lot of system parts around the cab which improves the accuracy of the truck. Furthermore, this model includes an ingenious side lifting mechanism to lift the Technic container onto the trailer. There are plenty of top-of-the-range retail sets vying for your attention at this price bracket, not to mention Creator Expert sets 10260 Downtown Diner and 10262 James Bond Aston Martin DB5. However, the one I enjoyed building the most out of the selection is 42081 Volvo Concept Wheel Loader ZEUX. 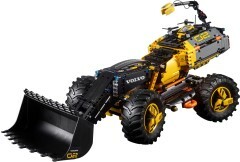 Based on a futuristic concept, it’s unlike any other Technic set and comes packed with interesting functionality such as an adjustable wheelbase, moving counterweight and, of course, a bucket for picking up whatever pretend rocks you have lying around. There’s no complex gearbox or other mechanisms to construct so it makes the perfect introduction to Technic building. Are you hoping to receive any sets within this price range and what would you recommend to others? Let us know in the comments. Nothing can beat Ninjago City for me so far in the Modular category, but nice picks. Interesting no-one went for Voltron, that would be my personal pick for this bracket. Brilliant design - awesome size and quite unique for Lego. I love that it is easily changeable between the individual lions and the combined mech. As a kid I always loved and wanted the combining mega zord toys from power rangers and dreamed of a lego version, so for this to be a thing is awesome. The only set I really want from this price range is 75930: Indoraptor Rampage at Lockwood Estate. (Good news for my bank account!) ...and even that is only really for the Indorapter and Mini Figures. Some of the interior elements and the skeleton are quite nice. I also think there are some nice figures in the 75220-1: Sandcrawler for a Star Wars fan. However I can appreciate your choices are all good designs of what they represent. Out of those I like the Diner best. Two Modulars, but nobody picked Voltron? That interests me, because I thought for sure Voltron would appear in this price-bracket. I gotta admit, Voltron is the only set I've asked Santa for. It might be a niche fandom, but I think it's one of the greatest sets of all time. Personally I like the Vestas Wind Turbine in this category. Although it potentially seems pricey for the amount of pieces, it includes power functions. It's an impressive looking model and the operation and technical design is fun to build and observe. Why did no one pick Voltron? As @Zordboy said, it is niche fandom, very niche one might add. The more obvious question would be why TLG released that set in the first place. I would wager to guess that this in the end might turn out to be the worst selling Ideas set to date. Anyway, I agree DD is probably the best set in that price category, with the UCS Y-Wing and Mack Anthem close behind. And while both the Bond Aston Martin as well as the Vestas Wind Turbine sets are nice, they are just so ridiculously overpriced that no one could honestly suggest them as good value for a Christmas present. Think about it, the Aston has far less pieces than the VW Campervan, yet it costs 50% more. Even if you consider licensing fees, this is just outrageous, especially as they exchanged the beautiful silver for an ugly LBG that doesn't do the source material justice at all. I’m a little surprised nobody picked the Statue of Liberty- reviews were generally good when it came out. There’s stiff competition, though. @LordMoral Ninjago City is over $200 and came out last year, but I wouldn’t be surprised to see Ninjago City Docks in the next (and last) gift guide. 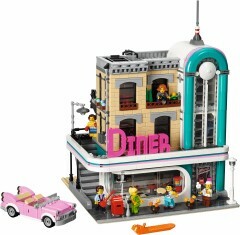 Downtown Diner & the Statue of Liberty are on my wish list, but I don't own & haven't built any of these (yet). As always, I appreciate the insights & recommendations! I'd have to choose the DD for this price bracket as well, especially since it's the only one I own. Although it surprises me that there aren't many more sets in this price range, as it seems like there were a lot of expensive sets this year. Vestas Wind Turbine, Capital City, Passenger Train, and Indoraptor Rampage at Lockwood Estates are all on my Wanted List. The more I look at DD the more I like it, although my only critique now would be that it would be a better fit as a corner building. Eventually I might do some mod's and make it so for my city. Downtown Diner would probably be my top pick as well. It's got a good value, real life subject matter that a wide range of people can relate to even outside the context of an ongoing modular building collection, and some really brilliant and innovative building techniques. For a younger builder, a price bracket this high becomes somewhat slim pickings, and I think I'd actually most likely recommend a set more outside my own usual interests, #60200 Capital City. Although the price per piece is fairly high, as is typical of City sets, the sheer number of builds as well as the net weight of 2.42 kilograms (giving it a price per kilogram of about $62 USD/£50 GBP/€54 EUR, in between the ppk of Parisian Restaurant and Detective's Office) testify to its value. It has a lot of contents that you don't see so often in other City sets, but that are still highly compatible with other City buildings and vehicles at lower price points. Other stuff that's interested me personally in this price bracket for this year includes #70654-1 Dieselnaut and #70655-1 Dragon Pit from LEGO Ninjago (with my personal interest leaning more towards the latter). But the post-apoc aesthetic is a little niche. Even in the context of the Ninjago theme, these sets have a very particular grungy aesthetic closely connected with the "Season 9: Hunted" TV episodes and sets, rather than the flashy, colorful look that characterizes most of the Ninjago dragons, vehicles, and locations in any given wave that aren't as visually coded to that wave's enemy faction. There's probably some personal preference in play as well, since my general tastes in sets and MOCs have pretty much always skewed more towards ornate, refined, or elegant designs rather than brutal or edgy ones. The Downtown Diner is definitely on my list hopefully for some time in 2019 (along with Voltron and Merry Go Round for this price range)! I'm still playing catch up after buying the modular buildings retiring this year along with the soon to be retired Ferris Wheel. Yep, like everyone the Downtown Diner is just an incredible kit. So many fun details. A winner all around....the look (the whole '50's vibe is beautifully captured), the price (great price to parts ratio), the build (so many little builds to the overall great shape of the structure - all wonderful, you'll never be bored assembling any section, savor it!). I also recommend the two large brick built action figures, Voltron and The Hulkbuster. You and your kids will love either, both are sturdy and besides the fun build both have tremendous play value. What is striking to me is when comparing DD to the newest Modular, how huge the difference in quality is. Where DD featured a well thought-out design, lots of lovely details, cool and innovative building techniques, and overall splendid value for money, the new Modular offers nothing of the kind. Seems like it was done by a new (and either inexperienced or lacklustre) designer/team of designers. Pity. @AustinPowers: The new modular definitely offers "cool and innovative building techniques" and arguably many the other qualities you mention too (though many of those are subjective and the value for money is indisputably weaker than earlier modulars, though still reasonable in my opinion). And comparing it to the Downtown Diner is ironic, considering how negative a lot of the initial comments about that building were. I think public opinion of this new modular, like opinion of the DD, is liable to shift once people have it in hand, probably enough so that in a year some people will be lambasting the subsequent modular for falling short of the high standard set by its immediate predecessor (until that modular in turn is released, and the cycle begins anew). I desperately want the Downtown Diner and the Statue of Liberty, so I'd probably vote for them if I actually had them. For a Star Wars fan who doesn't yet have the Y-Wing, that would be the clear choice in this price bracket, IMO. It is one of my favorite sets of all time. That being said, the Diner looks beautiful, as does the Apollo rocket, and they are far more versatile in their appeal.